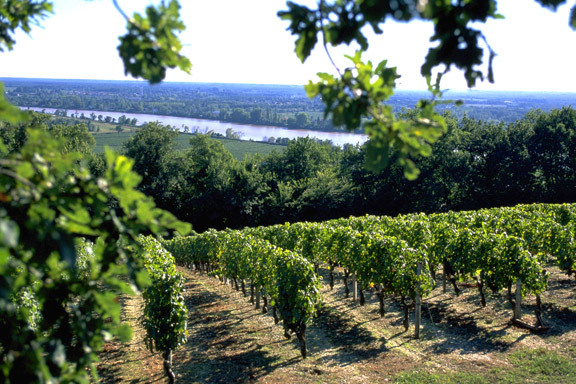 An old adage holds that vineyards in sight of the river, either the Garonne or Dordogne, have highest cru (image source). Welcome to the second installment of Un Tour Des Terroirs, where we feature a different wine growing region in France. For other tours, click here. Today's is Bordeaux. This region has the highest concentration of AOC vinters, and is probably the most commonly known French wine region -- with good reason! 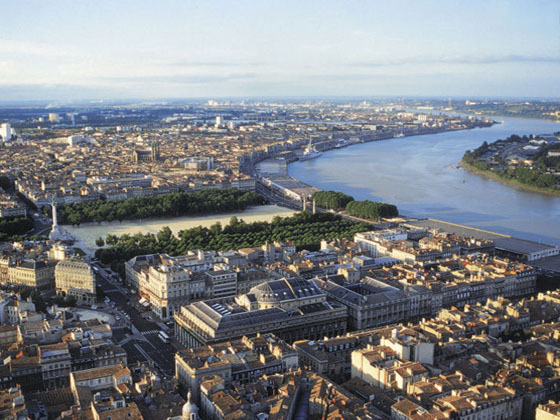 Bordeaux has its own classification system because some of their wines are SO good, they defy the national standard. Map of the plentiful vineyards (image source). 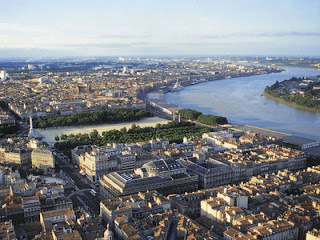 Bordeaux is a port city sitting on the Garonne River in southwest France. The city served as a model for Baron Haussmann's new plan for Paris, as he was responsible for the rebuilding of Paris in the 1860s. Temperate and pleasant, something between Oceanic, just a couples miles from the Atlantic, and Mediterranean, since it has wam summers and short, mild winters. Although the winters are mild, there still is frost, but snowfall is rare. The foundation of the region is limestone, which makes for soil that is high in calcium. The soil is composed of gravel, sandy stone, and clay, a product of the Pyrénées Mountains, and is irrigated by two rivers, the Garonne and Dordogne. Famous for its reds, mostly Cabernet Sauvignon and Merlot. Cabernet Sauvignon is more tannic than the easy-drinking, smoothness of Merlot. 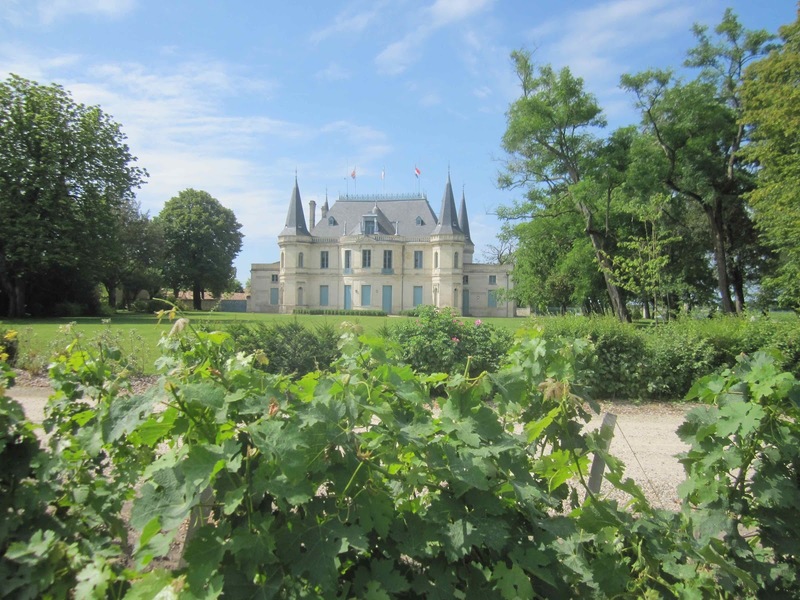 The most pronounced taste differences between Bordeaux wines occur from the terroir, most notably between the left and right banks. Blended wines are common, even in the highest of standards. 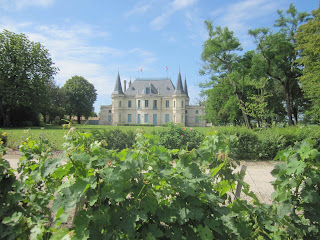 It can also pack a punch with its Semillion, the most widely planted white grape in Bordeaux. Wine Festival 2013 special guest Michael Corso, of Michael Corso Selections, has extensive contacts in Bordeaux to offer you the quality cru of the region. All of the wine in Michael Corso Selections is hand-picked by Corso himself from a carefully curated wine portfolio that spans decades. $35 per guest | Invite friends! Over the course of modern history, every wine producing country has compared itself to France. The standard bearer for the world’s wine industry, French wines are considered the benchmark in many styles. Our French wine ambassadors will offer a tasting and discussion of their wines, from Alsatian whites to Bordeaux, from Burgundy to Cote du Rhones, from Armagnac to Champagne. $65 FAC members; $85 non-members | Become a FAC Member and save $20 per ticket! | Invite friends! Colorado Spring’s favorite date night! This sell-out event will feature French wineries and over 300 other varieties of wine, as well as culinary delights from a wide assortment of the region’s finest restaurants and caterers, a silent wine market auction, music and dancing. 650 upscale food & wine connoisseurs attend this event. $125 per guest | Invite friends!